In order to find the registrants entry to edit, delete or deactivate it, you will need to know which session the registrant registered in or search by their order number. Once you locate the entry you can edit one registrant at a time or mass edit a group of registrants. Note: If you're editing a question that has dependent logic tied to it, you must also edit the original question, so the answer to the question fits in to the logic that is set up. Step 1: Create a Saved Report. Step 2: Select Mass Edit. Step 3: Adjust the answers to any questions fields on the registrant's entry. Step 4: Select Save Selected. Step 2: Click on the Registration tab, then select Financial Summary. Step 3: Click on Orders. Step 4: Click Search Orders. 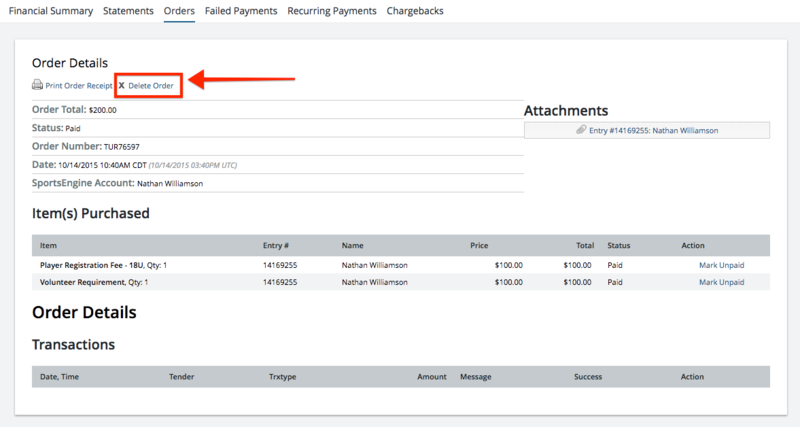 Step 5: Input the Order Number into the Search by Order Number field. Step 3: Select the Registration Name that the registrant is in. Step 4: Select Quick Report. Step 5: Click on the Fields. Step 6: Select the First and Last Name Fields. Step 7: Click on Filters. Step 8: Add a Rule of First Name/Last Name and input their name information. Step 9: Click Update Quick Report. 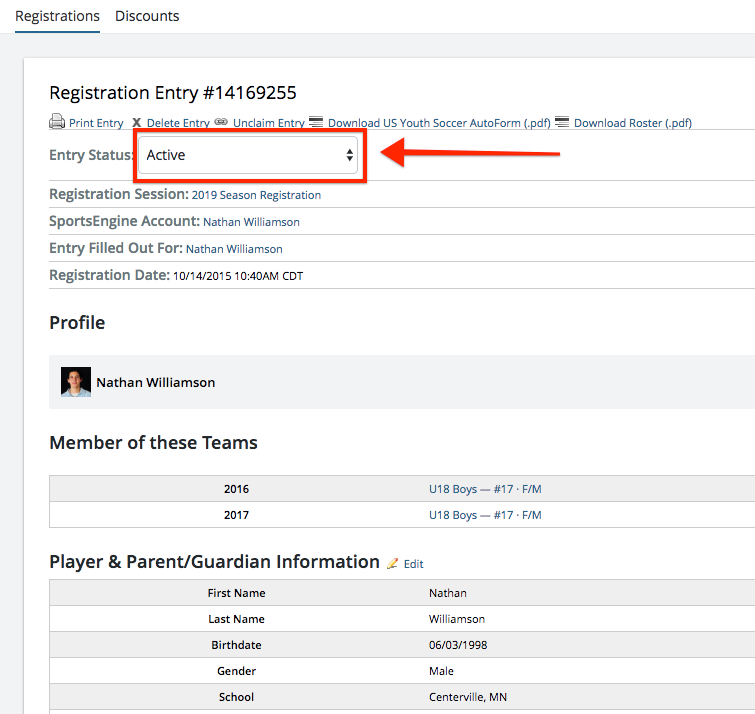 Step 10: Select the registrants Entry and edit the appropriate fields. Step 11: Save Registration Entry. Step 1: Locate the Entry using one of the two methods above. Step 2: Mark Entry as Inactive. Step 1: Locate the Order using one of the two methods above. Step 2: Delete the Order.